Samuel Pepys FRS (/piːps/ PEEPS; 23 February 1633 – 26 May 1703) was an administrator of the navy of England and Member of Parliament who is most famous for the diary he kept for a decade while still a relatively young man. Pepys had no maritime experience, but he rose to be the Chief Secretary to the Admiralty under both King Charles II and King James II through patronage, hard work, and his talent for administration. His influence and reforms at the Admiralty were important in the early professionalisation of the Royal Navy. Pepys was born in Salisbury Court, Fleet Street, London on 23 February 1633, the son of John Pepys (1601–1680), a tailor, and Margaret Pepys (née Kite; died 1667), daughter of a Whitechapel butcher. His great uncle Talbot Pepys was Recorder and briefly Member of Parliament (MP) for Cambridge in 1625. His father's first cousin Sir Richard Pepys was elected MP for Sudbury in 1640, appointed Baron of the Exchequer on 30 May 1654, and appointed Lord Chief Justice of Ireland on 25 September 1655. Pepys was the fifth of eleven children, but child mortality was high and he was soon the oldest survivor. He was baptised at St Bride's Church on 3 March 1633. Pepys did not spend all of his infancy in London; for a while, he was sent to live with nurse Goody Lawrence at Kingsland, just north of the city. In about 1644, Pepys attended Huntingdon Grammar School before being educated at St Paul's School, London, c. 1646–1650. He attended the execution of Charles I in 1649. 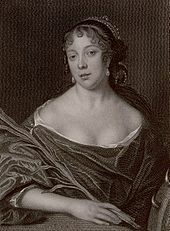 Elisabeth de St Michel, Pepys' wife. Stipple engraving by James Thomson, after a 1666 painting (now destroyed) by John Hayls. In 1650, he went to the University of Cambridge, having received two exhibitions from St Paul's School (perhaps owing to the influence of Sir George Downing, who was chairman of the judges and for whom he later worked at the Exchequer) and a grant from the Mercers' Company. In October, he was admitted as a sizar to Magdalene College; he moved there in March 1651 and took his Bachelor of Arts degree in 1654. Later in 1654 or early in 1655, he entered the household of another of his father's cousins, Sir Edward Montagu, who was later created the 1st Earl of Sandwich. Pepys married fourteen-year-old Elisabeth de St Michel, a descendant of French Huguenot immigrants, first in a religious ceremony on 10 October 1655 and later in a civil ceremony on 1 December 1655 at St Margaret's, Westminster. From a young age, Pepys suffered from bladder stones in his urinary tract—a condition from which his mother and brother John also later suffered. He was almost never without pain, as well as other symptoms, including "blood in the urine" (hematuria). By the time of his marriage, the condition was very severe. In 1657 Pepys decided to undergo surgery; not an easy option, as the operation was known to be especially painful and hazardous. Nevertheless, Pepys consulted surgeon Thomas Hollier and, on 26 March 1658, the operation took place in a bedroom in the house of Pepys' cousin Jane Turner. Pepys' stone was successfully removed and he resolved to hold a celebration on every anniversary of the operation, which he did for several years. However, there were long-term effects from the operation. The incision on his bladder broke open again late in his life. The procedure may have left him sterile, though there is no direct evidence for this, as he was childless before the operation. In mid-1658 Pepys moved to Axe Yard, near the modern Downing Street. He worked as a teller in the Exchequer under George Downing. Samuel Pepys' bookplate. The motto reads Mens cujusque is est Quisque – "Mind Makes the Man". On 1 January 1660 ("1 January 1659/1660" in contemporary terms), Pepys began to keep a diary. He recorded his daily life for almost ten years. This record of a decade of Pepys' life is more than a million words long and is often regarded as Britain’s most celebrated diary. Pepys has been called the greatest diarist of all time due to his frankness in writing concerning his own weaknesses and the accuracy with which he records events of daily British life and major events in the 17th century. Pepys wrote about the contemporary court and theatre (including his amorous affairs with the actresses), his household, and major political and social occurrences. Historians have been using his diary to gain greater insight and understanding of life in London in the 17th century. Pepys wrote consistently on subjects such as personal finances, the time he got up in the morning, the weather, and what he ate. He talked at length about his new watch which he was very proud of (and which had an alarm, a new accessory at the time), a country visitor who did not enjoy his time in London because he felt that it was too crowded, and his cat waking him up at one in the morning. Pepys's diary is one of a very few sources which provides such length in details of everyday life of an upper-middle-class man during the seventeenth century. Aside from day-to-day activities, Pepys also commented on the significant and turbulent events of his nation. England was in disarray when he began writing his diary. Oliver Cromwell had died just a few years before, creating a period of civil unrest and a large power vacuum to be filled. Pepys had been a strong supporter of Cromwell, but he converted to the Royalist cause upon the Protector’s death. He was on the ship that brought Charles II home to England. He gave a firsthand account of events, such as the coronation of King Charles II and the Restoration of the British Monarchy to the throne, the Anglo-Dutch war, the Great Plague, and the Great Fire of London. Pepys did not plan on his contemporaries ever seeing his diary, which is evident from the fact that he wrote in shorthand and sometimes in a "code" of various Spanish, French, and Italian words (especially when describing his illicit affairs). However, Pepys often juxtaposed profanities in his native English amidst his "code" of foreign words, a practice which would reveal the details to any casual reader. He did intend future generations to see the diary, as evidenced by its inclusion in his library and its catalogue before his death along with the shorthand guide he used and the elaborate planning by which he ensured his library survived intact after his death. Blessed be God, at the end of the last year I was in very good health, without any sense of my old pain but upon taking of cold. I lived in Axe yard, having my wife and servant Jane, and no more in family than us three. My wife, after the absence of her terms for seven weeks, gave me hopes of her being with child, but on the last day of the year she hath them again. The condition of the State was thus. Viz. the Rump, after being disturbed by my Lord Lambert, was lately returned to sit again. The officers of the army all forced to yield. Lawson lie[s] still in the River and Monke is with his army in Scotland. Only my Lord Lambert is not yet come in to the Parliament; nor is it expected that he will, without being forced to it. Diary of Samuel Pepys, January 1660. The entries from the first few months were filled with news of General George Monck's march on London. In April and May of that year, he was encountering problems with his wife, and he accompanied Montagu's fleet to the Netherlands to bring Charles II back from exile. Montagu was made Earl of Sandwich on 18 June, and Pepys secured the position of Clerk of the Acts to the Navy Board on 13 July. As secretary to the board, Pepys was entitled to a £350 annual salary plus the various gratuities and benefits that came with the job–including bribes. He rejected an offer of £1,000 for the position from a rival and soon afterwards moved to official accommodation in Seething Lane in the City of London. Pepys stopped writing his diary in 1669. His eyesight began to trouble him and he feared that writing in dim light was damaging his eyes. He did imply in his last entries that he might have others write his diary for him, but doing so would result in a loss of privacy and it seems that he never went through with those plans. In the end, Pepys' fears were unjustified and he lived another 34 years without going blind, but he never took to writing his diary again. However, Pepys dictated a journal for two months in 1669–70 as a record of his dealings with the Commissioners of Accounts at that period. He also kept a diary for a few months in 1683 when he was sent to Tangier, Morocco as the most senior civil servant in the navy, during the English evacuation. The diary mostly covers work-related matters. On the Navy Board, Pepys proved to be a more able and efficient worker than colleagues in higher positions. This often annoyed Pepys and provoked much harsh criticism in his diary. Among his colleagues were Admiral Sir William Penn, Sir George Carteret, Sir John Mennes and Sir William Batten. Pepys learned arithmetic from a private tutor and used models of ships to make up for his lack of first-hand nautical experience, and ultimately came to play a significant role in the board's activities. In September 1660, he was made a Justice of the Peace; on 15 February 1662, Pepys was admitted as a Younger Brother of Trinity House; and on 30 April, he received the freedom of Portsmouth. Through Sandwich, he was involved in the administration of the short-lived English colony at Tangier. He joined the Tangier committee in August 1662 when the colony was first founded and became its treasurer in 1665. In 1663, he independently negotiated a £3,000 contract for Norwegian masts, demonstrating the freedom of action that his superior abilities allowed. He was appointed to a commission of the royal fishery on 8 April 1664. Pepys' job required him to meet many people to dispense money and make contracts. He often laments how he "lost his labour" having gone to some appointment at a coffee house or tavern, only to discover that the person whom he was seeking was not there. These occasions were a constant source of frustration to Pepys. Pepys' diary provides a first-hand account of the Restoration, and it is also notable for its detailed accounts of several major events of the 1660s, along with the lesser known diary of John Evelyn. In particular, it is an invaluable source for the study of the Second Anglo-Dutch War of 1665–7, the Great Plague of 1665, and the Great Fire of London in 1666. In relation to the Plague and Fire, C. S. Knighton has written: "From its reporting of these two disasters to the metropolis in which he thrived, Pepys's diary has become a national monument." Robert Latham, editor of the definitive edition of the diary, remarks concerning the Plague and Fire: "His descriptions of both—agonisingly vivid—achieve their effect by being something more than superlative reporting; they are written with compassion. As always with Pepys it is people, not literary effects, that matter." Dutch Attack on the Medway, June 1667 by Pieter Cornelisz van Soest, painted c. 1667. The captured ship Royal Charles is right of centre. In early 1665, the start of the Second Anglo-Dutch War placed great pressure on Pepys. His colleagues were either engaged elsewhere or incompetent, and Pepys had to conduct a great deal of business himself. He excelled under the pressure, which was extreme due to the complexity and under-funding of the Royal Navy. At the outset, he proposed a centralised approach to supplying the fleet. His idea was accepted, and he was made surveyor-general of victualling in October 1665. The position brought a further £300 a year. Pepys wrote about the Second Anglo-Dutch War: "In all things, in wisdom, courage, force and success, the Dutch have the best of us and do end the war with victory on their side". And King Charles II said: "Don't fight the Dutch, imitate them". In 1667, with the war lost, Pepys helped to discharge the navy. The Dutch had defeated England on open water and now began to threaten the mainland itself. In June 1667, they conducted their Raid on the Medway, broke the defensive chain at Gillingham, and towed away the Royal Charles, one of the Royal Navy's most important ships. As he had done during the Fire and the Plague, Pepys again removed his wife and his gold from London. 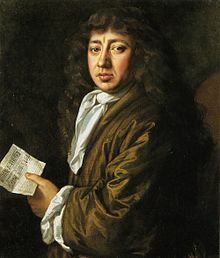 The Dutch raid was a major concern in itself, but Pepys was personally placed under a different kind of pressure: the Navy Board and his role as Clerk of the Acts came under scrutiny from the public and from Parliament. The war ended in August and, on 17 October, the House of Commons created a committee of "miscarriages". On 20 October, a list was demanded from Pepys of ships and commanders at the time of the division of the fleet in 1666. However, these demands were actually quite desirable for him, as tactical and strategic mistakes were not the responsibility of the Navy Board. The Board did face some allegations regarding the Medway raid, but they could exploit the criticism already attracted by commissioner of Chatham Peter Pett to deflect criticism from themselves. The committee accepted this tactic when they reported in February 1668. The Board was, however, criticised for its use of tickets to pay seamen. These tickets could only be exchanged for cash at the Navy's treasury in London. Pepys made a long speech at the bar of the Commons on 5 March 1668 defending this practice. It was, in the words of C. S. Knighton, a "virtuoso performance". The commission was followed by an investigation led by a more powerful authority, the commissioners of accounts. They met at Brooke House, Holborn and spent two years scrutinising how the war had been financed. In 1669, Pepys had to prepare detailed answers to the committee's eight "Observations" on the Navy Board's conduct. In 1670, he was forced to defend his own role. A seaman's ticket with Pepys' name on it was produced as incontrovertible evidence of his corrupt dealings but, thanks to the intervention of the king, Pepys emerged from the sustained investigation relatively unscathed. But, Lord! how sad a sight it is to see the streets empty of people, and very few upon the 'Change. Jealous of every door that one sees shut up, lest it should be the plague; and about us two shops in three, if not more, generally shut up. Diary of Samuel Pepys, Wednesday, 16 August 1665. He also chewed tobacco as a protection against infection, and worried that wig-makers might be using hair from the corpses as a raw material. Furthermore, it was Pepys who suggested that the Navy Office should evacuate to Greenwich, although he did offer to remain in town himself. He later took great pride in his stoicism. Meanwhile, Elisabeth Pepys was sent to Woolwich. She did not return to Seething Lane until January 1666, and was shocked by the sight of St Olave's churchyard, where 300 people had been buried. Diary of Samuel Pepys, Sunday, 2 September 1666. The wind was driving the fire westward, so he ordered the boat to go to Whitehall and became the first person to inform the king of the fire. According to his entry of 2 September 1666, Pepys recommended to the king that homes be pulled down in the path of the fire in order to stem its progress. Accepting this advice, the king told him to go to Lord Mayor Thomas Bloodworth and tell him to start pulling down houses. Pepys took a coach back as far as St Paul's Cathedral before setting off on foot through the burning city. He found the Lord Mayor, who said, "Lord! what can I do? I am spent: people will not obey me. I have been pulling down houses; but the fire overtakes us faster than we can do it." At noon, he returned home and "had an extraordinary good dinner, and as merry, as at this time we could be", before returning to watch the fire in the city once more. Later, he returned to Whitehall, then met his wife in St. James's Park. In the evening, they watched the fire from the safety of Bankside. Pepys writes that "it made me weep to see it". Returning home, Pepys met his clerk Tom Hayter who had lost everything. Hearing news that the fire was advancing, he started to pack up his possessions by moonlight. Sir W. Pen and I to Tower-streete, and there met the fire burning three or four doors beyond Mr. Howell's, whose goods, poor man, his trayes, and dishes, shovells, &c., were flung all along Tower-street in the kennels, and people working therewith from one end to the other; the fire coming on in that narrow streete, on both sides, with infinite fury. Sir W. Batten not knowing how to remove his wine, did dig a pit in the garden, and laid it in there; and I took the opportunity of laying all the papers of my office that I could not otherwise dispose of. And in the evening Sir W. Pen and I did dig another, and put our wine in it; and I my Parmazan cheese, as well as my wine and some other things. Diary of Samuel Pepys, Tuesday, 4 September 1666. Pepys had taken to sleeping on his office floor; on Wednesday, 5 September, he was awakened by his wife at 2 a.m. She told him that the fire had almost reached All Hallows-by-the-Tower and that it was at the foot of Seething Lane. He decided to send her and his gold—about £2,350—to Woolwich. In the following days, Pepys witnessed looting, disorder, and disruption. On 7 September, he went to Paul's Wharf and saw the ruins of St Paul's Cathedral, of his old school, of his father's house, and of the house in which he had had his stone removed. Despite all this destruction, Pepys's house, office, and diary were saved. The diary gives a detailed account of Pepys' personal life. He liked wine, plays, and the company of other people. He also spent time evaluating his fortune and his place in the world. He was always curious and often acted on that curiosity, as he acted upon almost all his impulses. Periodically, he would resolve to devote more time to hard work instead of leisure. For example, in his entry for New Year's Eve, 1661, he writes: "I have newly taken a solemn oath about abstaining from plays and wine…" The following months reveal his lapses to the reader; by 17 February, it is recorded, "Here I drank wine upon necessity, being ill for the want of it." Pepys was one of the most important civil servants of his age, and was also a widely cultivated man, taking an interest in books, music, the theatre and science. He was passionately interested in music; he composed, sang, and played for pleasure, and even arranged music lessons for his servants. He played the lute, viol, violin, flageolet, recorder and spinet to varying degrees of proficiency. He was also a keen singer, performing at home, in coffee houses, and even in Westminster Abbey. He and his wife took flageolet lessons from master Thomas Greeting. He also taught his wife to sing and paid for dancing lessons for her (although these stopped when he became jealous of the dancing master). He was known to be brutal to his servants, once beating a servant Jane with a broom until she cried. He kept a boy servant whom he frequently beat with a cane, a birch rod, a whip or a rope’s end. Pepys was an investor in the Company of Royal Adventurers Trading to Africa, which held the monopoly in England on trading along the west coast of Africa in gold, silver, ivory and slaves. Propriety did not prevent him from engaging in a number of extramarital liaisons with various women that were chronicled in his diary, often in some detail, and generally using a cocktail of languages (English, French, Spanish and Latin) when relating the intimate details. The most dramatic of these encounters was with Deborah Willet, a young woman engaged as a companion for Elisabeth Pepys. On 25 October 1668, Pepys was surprised by his wife as he embraced Deb Willet; he writes that his wife "coming up suddenly, did find me imbracing the girl con [with] my hand sub [under] su [her] coats; and endeed I was with my main [hand] in her cunny. I was at a wonderful loss upon it and the girl also...." Following this event, he was characteristically filled with remorse, but (equally characteristically) continued to pursue Willet after she had been dismissed from the Pepys household. Pepys also had a habit of fondling the breasts of his maid Mary Mercer while she dressed him in the morning. "Mrs Knep was the wife of a Smithfield horsedealer, and the mistress of Pepys"—or at least "she granted him a share of her favours". Scholars disagree on the full extent of the Pepys/Knep relationship, but much of later generations' knowledge of Knep comes from the diary. Pepys first met Knep on 6 December 1665. He described her as "pretty enough, but the most excellent, mad-humoured thing, and sings the noblest that I ever heard in my life." He called her husband "an ill, melancholy, jealous-looking fellow" and suspected him of abusing his wife. Knep provided Pepys with backstage access and was a conduit for theatrical and social gossip. When they wrote notes to each other, Pepys signed himself "Dapper Dickey", while Knep was "Barbry Allen" (that popular song was an item in her musical repertory). The diary was written in one of the many standard forms of shorthand used in Pepys' time, in this case called tachygraphy and devised by Thomas Shelton. It is clear from its content that it was written as a purely personal record of his life and not for publication, yet there are indications that Pepys took steps to preserve the bound manuscripts of his diary. He wrote it out in fair copy from rough notes, and he also had the loose pages bound into six volumes, catalogued them in his library with all his other books, and is likely to have suspected that eventually someone would find them interesting. This tree resumes, in a more compact form and with a few additional details, trees published elsewhere in a box-like form. It is meant to help the reader of the Diary and also integrates some biographical informations found in the same sources. Thomas Pepys (“the Red”) 1 of Hatcham Barnes (Surrey) (? – 1615) + Kezia ? Dr Thomas Pepys, physician, poorly appreciated by SP, unmarr. Pepys' health suffered from the long hours that he worked throughout the period of the diary. Specifically, he believed that his eyesight had been affected by his work. He reluctantly concluded in his last entry, dated 31 May 1669, that he should completely stop writing for the sake of his eyes, and only dictate to his clerks from then on, which meant that he could no longer keep his diary. Pepys and his wife took a holiday to France and the Low Countries in June–October 1669; on their return, Elisabeth fell ill and died on 10 November 1669. Pepys erected a monument to her in the church of St Olave's, Hart Street, London. Pepys never remarried, but he did have a long-term housekeeper named Mary Skinner who was assumed by many of his contemporaries to be his mistress and sometimes referred to as Mrs. Pepys. In his will, he left her an annuity of £200 and many of his possessions. In 1672 he became an Elder Brother of Trinity House and served in this capacity until 1689; he was Master of Trinity House in 1676–1677 and again in 1685–1686. In 1673 he was promoted to Secretary to the Admiralty Commission and elected MP for Castle Rising in Norfolk. In 1673 he was involved with the establishment of the Royal Mathematical School at Christ's Hospital, which was to train 40 boys annually in navigation, for the benefit of the Royal Navy and the English Merchant Navy. In 1675 he was appointed a Governor of Christ's Hospital and for many years he took a close interest in its affairs. Among his papers are two detailed memoranda on the administration of the school. In 1699, after the successful conclusion of a seven-year campaign to get the master of the Mathematical School replaced by a man who knew more about the sea, he was rewarded for his service as a Governor by being made a Freeman of the City of London. He also served as Master (without ever having been a Freeman or Liveryman) of the Clothworkers' Company (1677-8). At the beginning of 1679 Pepys was elected MP for Harwich in Charles II's third parliament which formed part of the Cavalier Parliament. He was elected along with Sir Anthony Deane, a Harwich alderman and leading naval architect, to whom Pepys had been patron since 1662. By May of that year, they were under attack from their political enemies. 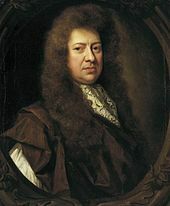 Pepys resigned as Secretary to the Admiralty. They were imprisoned in the Tower of London on suspicion of treasonable correspondence with France, specifically leaking naval intelligence. The charges are believed to have been fabricated under the direction of Anthony Ashley-Cooper, 1st Earl of Shaftesbury. Pepys was accused, among other things, of being a papist. They were released in July, but proceedings against them were not dropped until June 1680. Though he had resigned from the Tangier committee in 1679, in 1683 he was sent to Tangier to assist Lord Dartmouth with the evacuation and abandonment of the English colony. After six months' service, he travelled back through Spain accompanied by the naval engineer Edmund Dummer, returning to England after a particularly rough passage on 30 March 1684. In June 1684, once more in favour, he was appointed King's Secretary for the affairs of the Admiralty, a post that he retained after the death of Charles II (February 1685) and the accession of James II. The phantom Pepys Island, alleged to be near South Georgia, was named after him in 1684, having been first "discovered" during his tenure at the Admiralty. From 1685 to 1688, he was active not only as Secretary for the Admiralty, but also as MP for Harwich. He had been elected MP for Sandwich, but this election was contested and he immediately withdrew to Harwich. When James fled the country at the end of 1688, Pepys's career also came to an end. In January 1689, he was defeated in the parliamentary election at Harwich; in February, one week after the accession of William III and Mary II, he resigned his secretaryship. He was elected a Fellow of the Royal Society in 1665 and served as its President from 1 December 1684 to 30 November 1686. Isaac Newton's Principia Mathematica was published during this period, and its title page bears Pepys' name. There is a probability problem called the "Newton–Pepys problem" that arose out of correspondence between Newton and Pepys about whether one is more likely to roll at least one six with six dice or at least two sixes with twelve dice. It has only recently been noted that the gambling advice which Newton gave Pepys was correct, while the logical argument with which Newton accompanied it was unsound. He was imprisoned on suspicion of Jacobitism from May to July 1689 and again in June 1690, but no charges were ever successfully brought against him. After his release, he retired from public life at age 57. He moved out of London ten years later (1701) to a house in Clapham owned by his friend William Hewer, who had begun his career working for Pepys in the admiralty. Clapham was in the country at the time; it is now part of inner London. Pepys lived there until his death on 26 May 1703. He had no children and bequeathed his estate to his unmarried nephew John Jackson. Pepys had disinherited his nephew Samuel Jackson for marrying contrary to his wishes. When John Jackson died in 1724, Pepys' estate reverted to Anne, daughter of Archdeacon Samuel Edgeley, niece of Will Hewer and sister of Hewer Edgeley, nephew and godson of Pepys' old Admiralty employee and friend Will Hewer. Hewer was also childless and left his immense estate to his nephew Hewer Edgeley (consisting mostly of the Clapham property, as well as lands in Clapham, London, Westminster and Norfolk) on condition that the nephew (and godson) would adopt the surname Hewer. So Will Hewer's heir became Hewer Edgeley-Hewer, and he adopted the old Will Hewer home in Clapham as his residence. That is how the Edgeley family acquired the estates of both Samuel Pepys and Will Hewer, sister Anne inheriting Pepys' estate, and brother Hewer inheriting that of Will Hewer. On the death of Hewer Edgeley-Hewer in 1728, the old Hewer estate went to Edgeley-Hewer's widow Elizabeth, who left the 432-acre (175-hectare) estate to Levett Blackborne, the son of Abraham Blackborne, merchant of Clapham, and other family members, who later sold it off in lots. Lincoln's Inn barrister Levett Blackborne also later acted as attorney in legal scuffles for the heirs who had inherited the Pepys estate. Pepys' former protégé and friend Hewer acted as the executor of Pepys' estate. Pepys was buried along with his wife in St Olave Hart Street in London. Over 1,800 printed ballads, one of the finest collections in existence. Pepys made detailed provisions in his will for the preservation of his book collection. His nephew and heir John Jackson died in 1723, when it was transferred intact to Magdalene College, Cambridge, where it can be seen in the Pepys Building. The bequest included all the original bookcases and his elaborate instructions that placement of the books "be strictly reviewed and, where found requiring it, more nicely adjusted". Motivated by the publication of Evelyn's Diary, Lord Granville deciphered a few pages. John Smith (later the Rector of St Mary the Virgin in Baldock) was then engaged to transcribe the diaries into plain English. He laboured at this task for three years, from 1819 to 1822, unaware until nearly finished that a key to the shorthand system was stored in Pepys' library a few shelves above the diary volumes. Others had apparently succeeded in reading the diary earlier, perhaps knowing about the key, because a work of 1812 quotes from a passage of it. Smith's transcription, which is also kept in the Pepys Library, was the basis for the first published edition of the diary, edited by Lord Braybrooke, released in two volumes in 1825. A second transcription, done with the benefit of the key, but often less accurately, was completed in 1875 by Mynors Bright and published in 1875–1879. This added about a third to the previously published text, but still left only about 80% of the diary in print. Henry B. Wheatley, drawing on both his predecessors, produced a new edition in 1893–1899, revised in 1926, with extensive notes and an index. All of these editions omitted passages (chiefly about Pepys' sexual adventures) which the editors thought too obscene ever to be printed. Wheatley, in the preface to his edition noted, "a few passages which cannot possibly be printed. It may be thought by some that these omissions are due to an unnecessary squeamishness, but it is not really so, and readers are therefore asked to have faith in the judgement of the editor." The complete, unexpurgated, and definitive edition, edited and transcribed by Robert Latham and William Matthews, was published by Bell & Hyman, London, and the University of California Press, Berkeley, in nine volumes, along with separate Companion and Index volumes, over the years 1970–1983. Various single-volume abridgements of this text are also available. The Introduction in volume I provides a scholarly but readable account of "The Diarist", "The Diary" ("The Manuscript", "The Shorthand", and "The Text"), "History of Previous Editions", "The Diary as Literature", and "The Diary as History". The Companion provides a long series of detailed essays about Pepys and his world. The first unabridged recording of the diary as an audiobook was published in 2015 by Naxos AudioBooks. On 1 January 2003 Phil Gyford started a weblog, pepysdiary.com, that serialised the diary one day each evening together with annotations from public and experts alike. In December 2003 the blog won the best specialist blog award in The Guardian's Best of British Blogs. In 1958 the BBC produced a serial called Samuel Pepys!, in which Peter Sallis played the title role. In 2003 a television film The Private Life of Samuel Pepys aired on BBC2. Steve Coogan played Pepys. The 2004 film Stage Beauty concerns London theatre in the 17th century and is based on Jeffrey Hatcher's play Compleat Female Stage Beauty, which in turn was inspired by a reference in Pepys's diary to the actor Edward Kynaston, who played female roles in the days when women were forbidden to appear on stage. Pepys is a character in the film and is portrayed as an ardent devotee of the theatre. Hugh Bonneville plays Pepys. Daniel Mays portrays Pepys in The Great Fire, a 2014 BBC television miniseries. Pepys has also been portrayed in various other film and television productions, played by diverse actors including Mervyn Johns, Michael Palin, Michael Graham Cox and Philip Jackson. BBC Radio 4 has broadcast serialised radio dramatisations of the diary. In the 1990s it was performed as a Classic Serial starring Bill Nighy, and in the 2010s it was serialised as part of the Woman's Hour radio magazine programme. One audiobook edition of Pepys' diary selections is narrated by Kenneth Branagh. A fictionalised Pepys narrates the second chapter of Harry Turtledove's science fiction novel A Different Flesh (serialised 1985–1988, book form 1988). This chapter is entitled "And So to Bed" and written in the form of entries from the Pepys diary. The entries detail Pepys' encounter with American Homo erectus specimens (imported to London as beasts of burden) and his formation of the "transformational theory of life," thus causing evolutionary theory to gain a foothold in scientific thought in the 17th century rather than the 19th. Deborah Swift's 2017 novel Pleasing Mr Pepys is described as a "re-imagining of the events in Samuel Pepys's Diary". Several detailed studies of Pepys' life are available. Arthur Bryant published his three-volume study in 1933–1938, long before the definitive edition of the diary, but, thanks to Bryant's lively style, it is still of interest. In 1974 Richard Ollard produced a new biography that drew on Latham's and Matthew's work on the text, benefitting from the author's deep knowledge of Restoration politics. Other biographies include: Samuel Pepys: A Life, by Stephen Coote (London: Hodder & Stoughton, 2000) and, Samuel Pepys and His World, by Geoffrey Trease (London: Thames and Hudson, 1972). The most recent general study is by Claire Tomalin, which won the 2002 Whitbread Book of the Year award, the judges calling it a "rich, thoughtful and deeply satisfying" account that unearths "a wealth of material about the uncharted life of Samuel Pepys". ^ "Samuel Pepys FAQ". Retrieved 28 May 2017. ^ "- British Armorial Bindings". utoronto.ca. Retrieved 17 September 2015. ^ Tomalin (2002), p3. "He was born in London, above the shop, just off Fleet Street, in Salisbury Court." ^ Wheatley 1893, Particulars of the life of Samuel Pepys: "but the place of birth is not known with certainty. 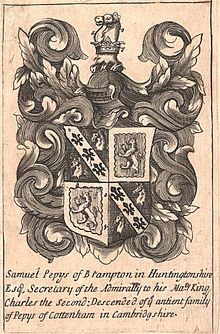 Samuel Knight, … (having married Hannah Pepys, daughter of Talbot Pepys of Impington), says positively that it was at Brampton"
^ "National Portrait Gallery website: Elizabeth (sic) Pepys". npg.org.uk. Retrieved 17 September 2015. ^ Knighton (2004). This was because religious ceremonies were not legally recognised during the Interregnum. The couple regularly celebrated the anniversary of the first date. ^ On Monday 26 March 1660, he wrote, in his diary, "This day it is two years since it pleased God that I was cut of the stone at Mrs. Turner's in Salisbury Court. And did resolve while I live to keep it a festival, as I did the last year at my house, and for ever to have Mrs. Turner and her company with me." ^ There are references in the Diary to pains in his bladder, whenever he caught cold. In April 1700, Pepys wrote, to his nephew Jackson, "It has been my calamity for much the greatest part of this time to have been kept bedrid, under an evil so rarely known as to have had it matter of universal surprise and with little less general opinion of its dangerousness; namely, that the cicatrice of a wound occasioned upon my cutting of the stone, without hearing anything of it in all this time, should after more than 40 years' perfect cure, break out again." After Pepys' death, the post-mortem examination showed his left kidney was completely ulcerated; seven stones, weighing four-and-a-half ounces (130 g), also were found. His bladder was gangrenous, and the old wound was broken open again. ^ "Legends of British History: Samuel Pepys". The Diary of Samuel Pepys. Retrieved 17 September 2015. ^ Kuiper, Kathleen (2011). Prose: Literary Terms and Concepts. New York: Rosen Publishing. p. 206. ISBN 1615304940. ^ Pepys, Samuel (2000). Latham, Robert; Latham, Linnet, eds. A Pepys anthology : passages from the diary of Samuel Pepys (1. UK paperback ed.). Berkeley [u.a. ]: Univ. of California Pr. ISBN 978-0-00-710530-4. ^ "BBC – Primary History – Famous People – Samuel Pepys". bbc.co.uk. Retrieved 17 September 2015. ^ "Pepys coded passages". pepys.info. Retrieved 17 September 2015. ^ This mention of Elizabeth Pepys' menstruation was omitted from the bowdlerised Wheatley transcription published in 1893 and used throughout this article. The quotation here uses the copyrighted Latham and Mathews edition to restore the text. ^ "Samuel Pepys FAQ". pepys.info. Retrieved 17 September 2015. ^ Bryant, The Years of Peril, p. 25. ^ Kennedy, Maev (13 November 2015). "Samuel Pepys' other diary on display in new exhibition". The Guardian. Retrieved 15 November 2015. ^ "Short biography [of] Pepys". Pepys Library website. Archived from the original on 7 February 2009. Diary of Samuel Pepys, Sunday, 31 December 1665. ^ Bryson, Bill (2010). At Home. Canada: Anchor Random House. p. 123. ISBN 978-0385661645. Of one maid, Mary Mercer, the Dictionary of National Biography serenely notes: “Samuel seems to have made a habit of fondling Mercer’s breasts while she dressed him in the morning”…When they weren’t dressing him, absorbing his blows, or providing roosts for his gropes, Pepys’s servants were expected to comb his hair and wash his ears. ^ Peter Cunningham, The Story of Nell Gwyn, Gordon Goodwin, ed., Edinburgh, John Grant, 1908; pp. 12, 171. ^ Pepys' Diary entry of 8 December 1665. ^ Tomalin (2002), p. xii-xiii. ^ Latham & Matthews (1970–83), Vol. X – Companion. ^ In Latham and Matthews's Companion to the diary, Martin Howard Stein suggests that Pepys suffered from a combination of astigmatism and long sight. Diary of Samuel Pepys, Monday, 31 May 1669. ^ C. S. Knighton. "Pepys, Samuel (1633–1703), naval official and diarist". Oxford Dictionary of National Biography. Retrieved 13 July 2014. ^ Henning, Basil Duke (1983). The House of Commons, 1660–1690. III, Members M–Y. London: Secker & Warburg. p. 226. ISBN 0-436-19274-8. ^ Wheatley 1893 "Shaftesbury and the others not having succeeded in getting at Pepys through his clerk, soon afterwards attacked him more directly, using the infamous evidence of Colonel Scott"
^ Fox, Celina (2007). "The Ingenious Mr Dummer: Rationalizing the Royal Navy in Late Seventeenth-Century England" (PDF). Electronic British Library Journal. p. 22. Retrieved 2 October 2009. ^ Eric W. Weisstein. "Newton-Pepys Problem". Wolfram MathWorld. Retrieved 28 June 2008. ^ Pepys, Samuel; Latham, Robert; Matthews, William (2001). The Diary of Samuel Pepys: A New and Complete Transcription, Volume 10 (Footnote on Will Hewer). University of California Press. p. 182. ISBN 9780520227156. Retrieved 17 September 2015. ^ Will Hewer, The Diary of Samuel Pepys, Samuel Pepys, 1899. ^ "Pepys Library Website". cam.ac.uk. Archived from the original on 2 March 2000. Retrieved 17 September 2015. ^ "UCSB English Broadside Ballad Archive". ucsb.edu. Archived from the original on 14 January 2010. Retrieved 17 September 2015. ^ Bryson, Bill (2010), At home: a short history of private life, New York: Doubleday, pp. 211–212, ISBN 978-0385533591. ^ Wheatley, Henry (1893). Diary of Samuel Pepys. Geo. Bell & Sons. pp. Preface. ^ Gyford, Phil (4 August 2011). "New unabridged diary audiobook in 2015". www.pepysdiary.com. Pepys Diary. Retrieved 18 September 2015. ^ "The best of British blogging". The Guardian. 18 December 2003. Archived from the original on 8 February 2007. prize went to Phil Gyford's remarkable Pepys' Diary. ^ Anomymous (3 Jan 1995). "The Diary of Samuel Pepys: A Radio 4 Classic Serial (BBC Classic Collection)". www.amazon.co.uk. BBC Audiobooks Ltd. Retrieved 18 September 2015. ^ Gyford, Phil (4 August 2011). "New BBC Pepys radio drama". www.pepysdiary.com. Pepys Diary. Retrieved 18 September 2015. ^ "Pleasing Mr Pepys". Deborah Swift. Retrieved 17 August 2017. Bryant, Arthur (1933). Samuel Pepys (I: The man in the making. II: The years of peril. III: The saviour of the navy) (Revised 1948. Reprinted 1934, 1961, etc. ed.). Cambridge: University Press. LCC +B8&searchType=1&recCount=25 DA447.P4 B8. Ollard, Richard (1984). Pepys: a biography (First published 1974 ed.). Oxford: Oxford University Press. ISBN 0-19-281466-4. Tomalin, Claire (2002). Samuel Pepys: the unequalled self. London: Viking. ISBN 0-670-88568-1. Trease, Geoffrey (1972). Samuel Pepys and his world. Norwich, Great Britain: Jorrold and Son. C. S. Knighton, ‘Pepys, Samuel (1633–1703)’, Oxford Dictionary of National Biography, (Oxford University Press, 2004). Wheatley, Henry B., ed. (1893). The Diary of Samuel Pepys M.A. F.R.S. London: George Bell & Sons. Pepys, Samuel (2004). C. S. Knighton, ed. Pepys's later diaries. Stroud: Sutton. ISBN 0-7509-3656-8. Pepys, Samuel (2005). Guy de la Bedoyere, ed. Particular friends: the correspondence of Samuel Pepys and John Evelyn (2nd ed.). Woodbridge: Boydell & Brewer. ISBN 1-84383-134-1. Pepys, Samuel (2006). Guy de la Bedoyere, ed. The letters of Samuel Pepys, 1656–1703. Woodbridge: Boydell. ISBN 1-84383-197-X. Seal, Jeremy (2003). "The Wreck Detectives: Stirling Castle". Channel 4. Retrieved 6 June 2006. – Some historical background on Pepys and the Royal Navy. C. S. Knighton, Pepys and the Navy (Stroud: Sutton Publishing, 2003). N. A. M. Rodger, The Command of the Ocean: A Naval History of Britain, 1649–1815 (London: 2004 / New York: 2005). Includes an extensive specialist annotated bibliography. James Long and Ben Long, The Plot Against Pepys (Woodstock, NY and New York: Overlook Press, 2007). ISBN 978-1-59020-069-8. A detailed account of the Popish Plot and Pepys' involvement in it, 1679–1680. C. Driver and M. Berridale-Johnson, Pepys at Table (London: Bell & Hyman, 1984). Stephen Coote, Samuel Pepys: A Life (London: Hodder and Stoughton, 2000). Phil Gyford's Samuel Pepys' diary, which provides a daily entry from the diary, detailed background articles, plus annotations from readers. Internet Movies Database: list of actors who have portrayed Pepys in visual media.